Forrest Gump composer Alan Silvestri is set to score Steven Spielberg’s Ready Player One, according to Variety. Frequent Spielberg collaborator John Williams (who has scored all but two of his films) will take on another Spielberg picture, The Papers. This is reportedly happening because post-production for both films is happening at the same time. 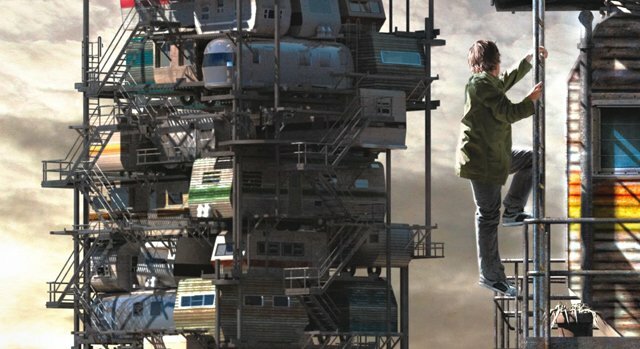 Set in the near future, Ready Player One (opening March 30, 2018) follows outcast teenager Wade Watts (Sheridan), who escapes from his bleak surroundings by logging in to the OASIS, a globally networked virtual utopia where users can lead idyllic alternate lives. When eccentric billionaire who created the OASIS dies, he offers up his vast fortune as the prize in an elaborate treasure hunt. Along with gamers from around the world, Wade joins the adventure, and quickly finds himself pitted against powerful corporate foes and other ruthless competitors who will do anything, in the oasis or the real world, to reach the treasure first. The film stars Tye Sheridan, Olivia Cook, Mark Rylance, Simon Pegg, and Ben Mendelsohn. The Papers (opening December 22) will follow the 1971 scandal after the decision of The Washington Post editor Ben Bradlee (Hanks) and publisher Katharine Graham (Streep) to publish The Pentagon Papers. Written and leaked by military analyst Daniel Ellsberg, the Pentagon Papers established that the Johnson Administration had lied to the public and congress about US military involvement in the Vietnam War, and revealed that the Nixon administration had secretly escalated the war. The Nixon administration tried to stop The Post from publishing them, and Assistant U.S. Attorney General William Rehnquist took the case to the Supreme Court, which ruled in favor of the paper. Alan Silvestri is also known for scoring films like The Avengers, The Croods and Night at the Museum. John Williams is known for the Star Wars, Harry Potter and Jurassic Park franchises. Are you guys excited to hear that Alan Silvestri is scoring Ready Player One and that John Williams is scoring The Papers? Let us know your thoughts below.